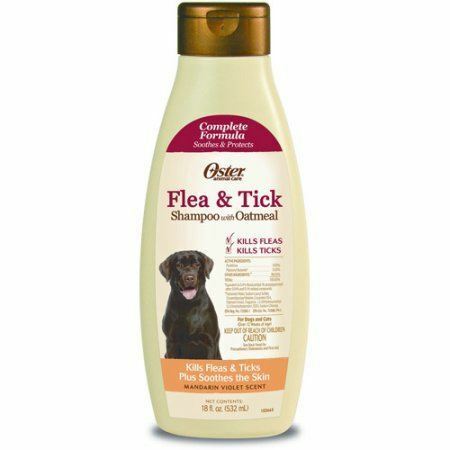 While some flea treatments take a few days before you start seeing results, Adams Plus Flea and Tick Spray works almost instantly. By spraying your pet and using a soft cloth to spread the solution, you’ll begin to notice that the fleas no longer move as quickly, until they finally begin dying off. 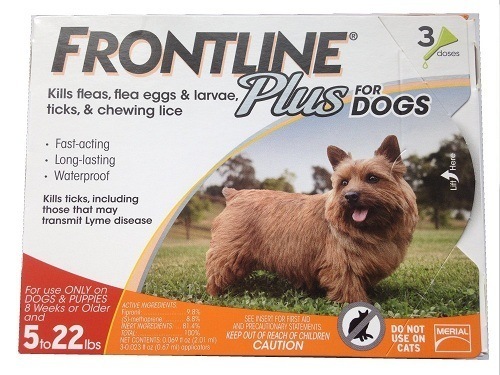 If you’re looking to spot check fleas as you begin seeing them, or need a solution you can use in between topical applications of a product such as Frontline, Adam’s Plus spray is a great product. On the same token, you can also it as part of a bigger strategy that includes products such as Capstar, or after you have given your dog a bath using a natural oatmeal shampoo if you still see fleas running around in your pet’s coat. 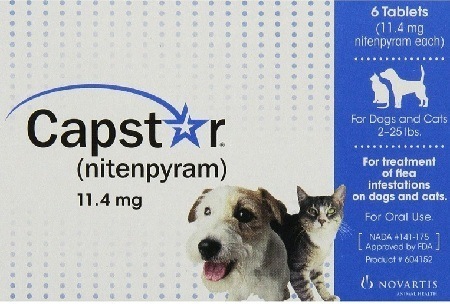 Gives your pet quick relief: To get ahead of the infestation, it’s best to use a product that can kill the fleas instantly. 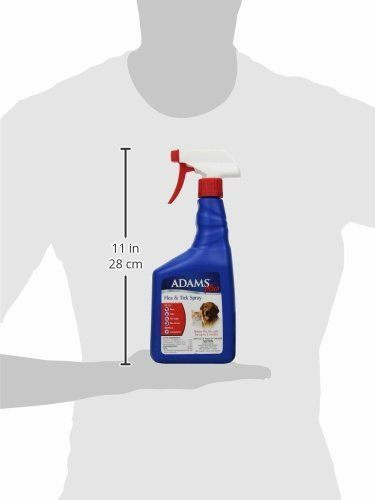 When combined with a flea shampoo, Adams Plus is the best line of defense for completely getting rid of fleas while you use other preventative measures to keep them from coming back. Kills fleas at all stages of life: From eggs to larva, young fleas, and adults, Adams Plus will wipe out every stage of the flea’s life cycle. As new eggs hatch and turn into larva, the ingredients inside of Adams Plus will take them out before they’re able to grow into adolescents and adults. Breaks the flea life cycle: A lot of products have problems taking care of the beginning of the flea’s life cycle: the eggs and larva. In order to gain control over the infestation, you need to be able to stop new eggs from forming into adults, effectively breaking the life cycle. Also repels mosquitoes: If you live in southern states where mosquitoes are a problem, Adams Plus will also keep your pet safe from mosquito bites. Works on both dogs, and cats: Adams Plus is safe on your dogs, as well as your cats. If you have cats in your home that are also spreading the growth of the flea infestation, you can use Adams Plus to help control the flea’s life cycle on your cats, too. 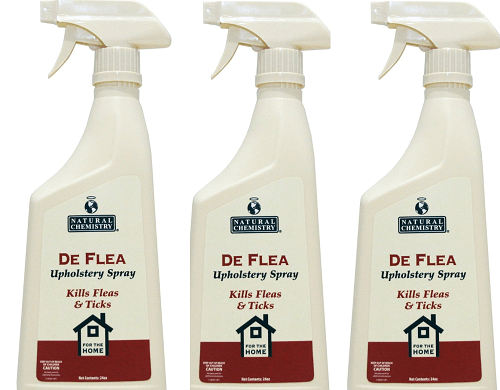 Safe formula inhibits flea growth: If Adams Plus can’t kill all of the fleas that come into contact with it, it will keep them from being able to grow as quickly. When the new eggs hatch, and the larvae begin growing, it will take a much longer period of time for them to turn into adults, and lay new eggs of their own. Strong scent: While Adams Plus works great at getting rid of the fleas, it does leave behind a strong medicinal scent that may be unpleasant to some people. Can only be used once per month: You do not want to overuse the spray. The directions state that you can only use the spray once per month, to avoid overloading your pet with the active ingredient. 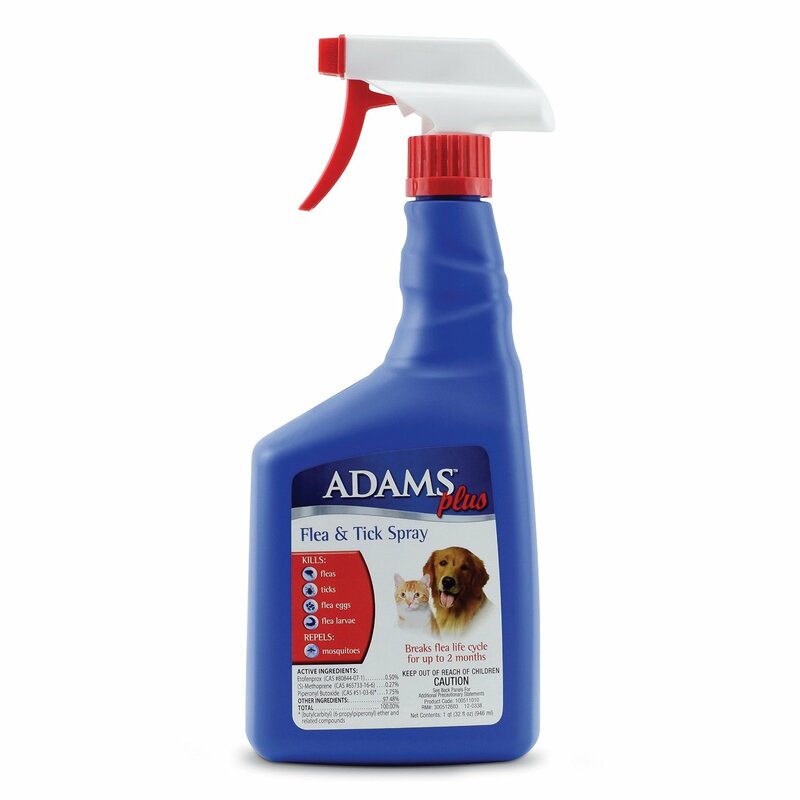 Instantly killing the fleas on your dog and cats is easy with Adams Plus. When used directly after a flea bath, it’s the second line of defense in taking out any fleas that may still be alive. Avoid using it too often, though, or it will lose its effectiveness. You also want to make a note about the smell, and apply it to your pets while they are outdoors. It’s best applied by using a soft cloth to help spread the solution out over your pet’s coat. Adams Plus Flea and Tick Spray is the perfect solution for getting rid of the fleas that are still living after a good bath. To order the spray and kill the remaining fleas, click on the button below.